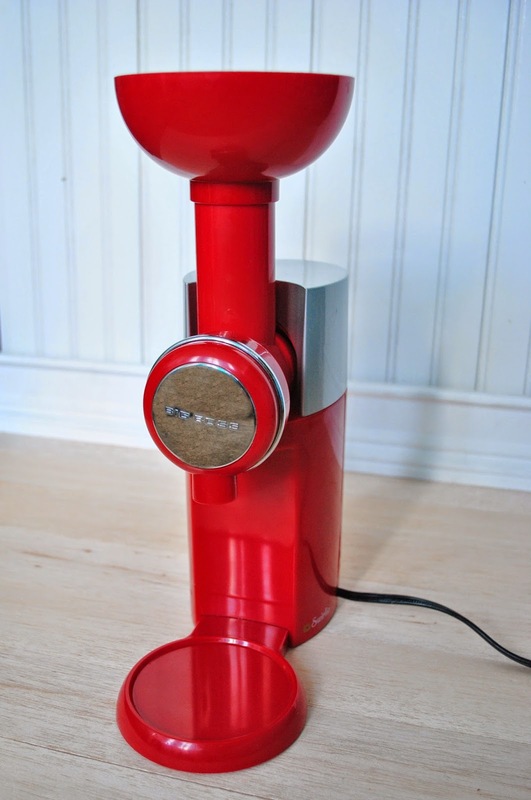 Big Boss Swirlio Review - DIY HEALTHY Fro-Yo! Having a craving for a delicious summer treat? Trying to stay healthy for bikini season but really wanting that fro-yo? Meet your new best friend - The Swirlio made by Big Boss! and with that said, I'm officially addicted to making my own semi-healthy concoctions! Semi-healthy only because I LOVE chocolate so much! Ha! I'm addicted to sweets and the Swirlio has given me the chance to remain within my daily calorie limit without depriving me of sweets! and voilà, dessert is ready! All Swirlio appliances come with a recipe book with 50 mouth-watering recipes so you can get a feel for the blends that you enjoy more before creating a flavor of your own! I made a recipe this week that involved spinach/banana pucks (simply blended together and frozen in silicone cupcake liners), strawberries, and mangos - so healthy and it tasted phenomenal! Spinach ice cream is a new way to get your greens in! I also love that the Swirlio is dishwasher friendly (although most of the time just a good rinse with hot water gets it clean)! It's great for kids to help with making dessert too, it involves NO metal blades so even the really little one's can help prepare a treat! So are you ready for some delicious Ice Cream, you can get a Swirlio of your own here!